"There are favors given to those who love Him that are not given to the average Christian." We are ever in danger of abandoning Christ Himself for our idea of Him. 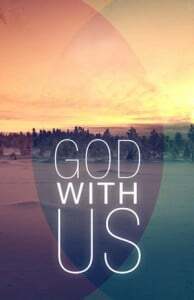 Leave the familiar behind and meet the surprising Immanuel, God with Us! But I tell you the truth, it is to your advantage that I go away; for if I do not go away, the Helper will not come to you; but if I go, I will send Him to you. Jesus cannot be more near to us than to be WITHIN.